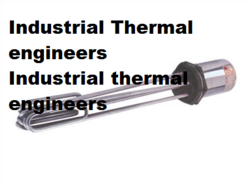 We are a leading Manufacturer of electric heater, immersion heater and a3 master heater from Ahmedabad, India. With the help of a well-equipped and state-of-the-art infrastructural set up, we are able to offer a quality approved range of Electric Heater for our valued customers. 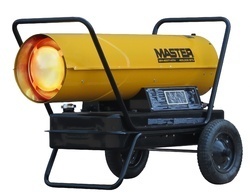 These heaters are manufactured using the finest quality raw material and advanced technology in line with set industry standards. The provided product is available in different specifications to fulfill the diverse requirements of our valuable clients. We have established ourselves as the leading provider of premium quality Immersion Heater to the clients. This product is used in various industries; the offered products inspected on a number of quality parameters at our end to dispatch a flawless range to our respected customers. This product is precisely designed with finest quality basic components and tools in accordance with modern market standards. 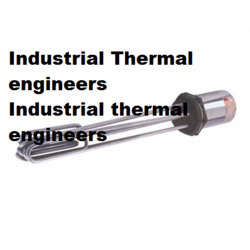 We, “Industrial Thermal Engineers” are involved in manufacturing, supplying and exporting a wide range of high quality array of A3 Master Heater.